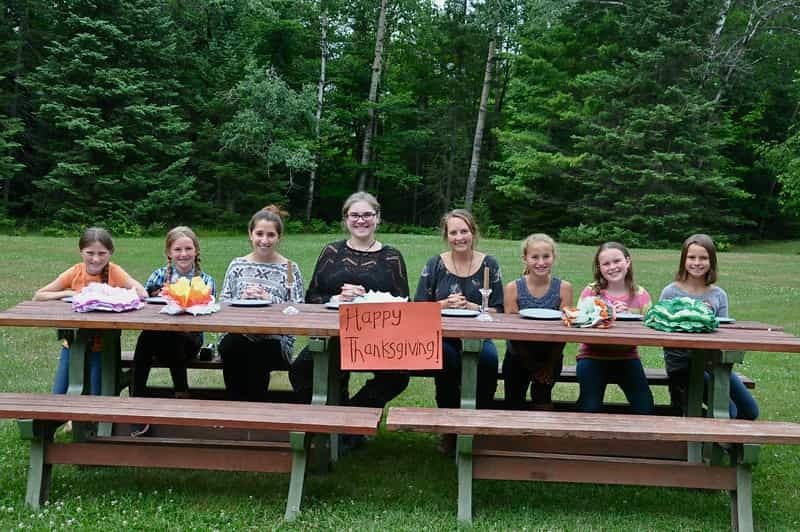 Camp Woodland | Happy Thanksgiving from Silver Birch! Happy Thanksgiving from Silver Birch! Nyki: the delicious homemade cookies are so good! 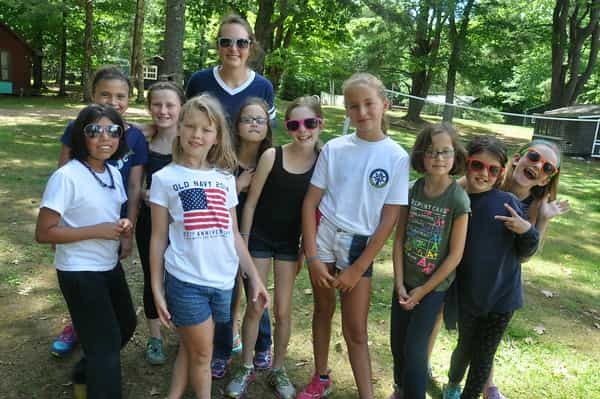 ; campfires when people dress up and do skits and songs up; Olympics when people have fun and laugh all they want; Woodland Fair – the fishing booth was so much fun; archery because I get to pass levels, and I get really excited when I get a bulls-eye! 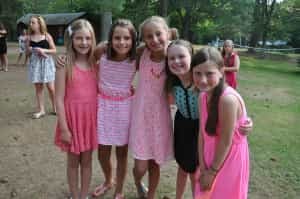 Tory: there are so MANY things I love about camp! I love activities; riding and tennis are my favorites. In riding I love Big Red, Spud, and Yeller; in tennis I love the game “Queen of the Court”. I absolutely love Dan’s homemade M&M cookies! The favorite part of camp is my cabin; I love all my friends and counselors. 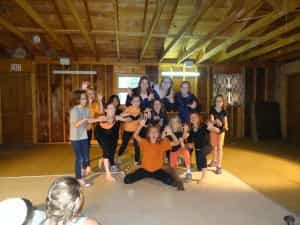 My counselors are always laughing and dancing, and it’s a blast! My bunkmate is always smiling, and we play this game where we steal blankets from each other. Last but not least, I love Woodland Fair! Our cabin was in charge of the fishing booth, and we ran out of prizes so we gave out sticks and money. One time I put a piece of popcorn I found and the person who was “fishing” ate it! These are just SOME of my favorite things I love about camp! Katie: I like passing levels in activities; I LOVE the grilled cheese here! It’s awesome when my cabinmates and I make forts during rest hour. It’s fun just sitting and laughing with everyone even if it is not that funny. I like when we’re in a goofy mood and making random jokes like “knock, knock”, “who’s there?”, “hoo”, “hoo who?”, “Is there an owl in here? 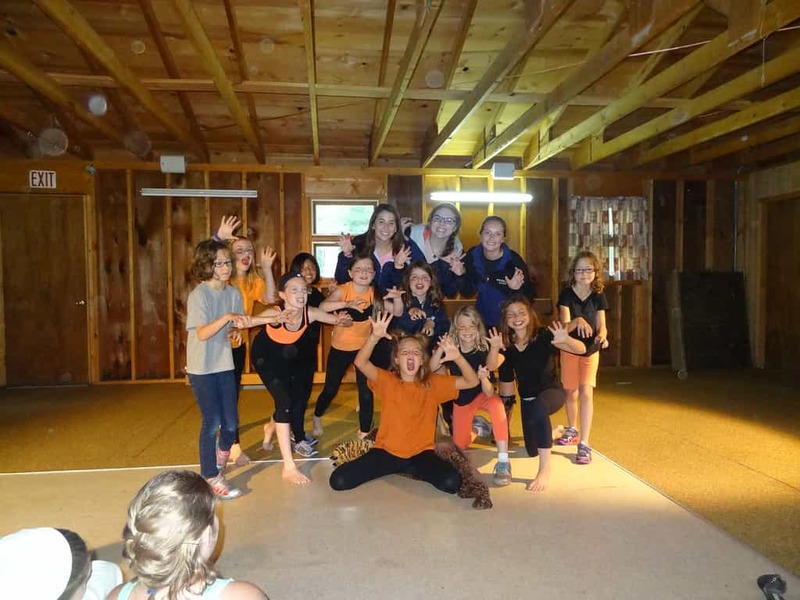 !” I like dancing to songs at night and swimming for cabin night. My favorite activity is riding. I loved all of the booths at Woodland Fair, but the fishing booth my favorite because we gave out random things, and it was funny. These are all the reasons I LOVE Camp Woodland! 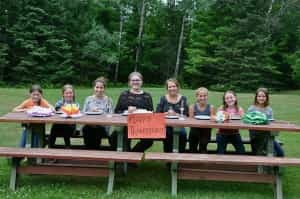 Libby: my friends, Dan’s yummy food, riding, Birdie (a horse), canoeing, Dan’s sugar and snicker doodle cookies, the awesome counselors, the goats, Banquet, EVERYTHING!!! !